Ultraviolet printing process delivers much higher quality books whether printed in black or multicolor. The text, vignettes, cartoons, and comics are sharper and brighter, especially when using uncoated stocks. 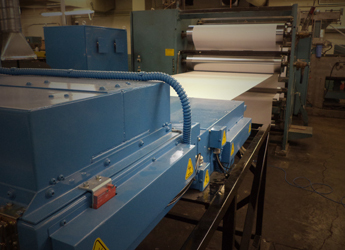 Ultraviolet Curing Systems react only with ink, not causing significant heat driven signature growth, resulting in flatter books, less web breaks and paper waste. Ultraviolet Curing Systems are VOC free, with a low odor and do not require a costly after burner process. Ultraviolet emissions are exhausted into an outside atmosphere without any negative impact on the environment. Significantly smaller foot print as compared to a conventional gas burning ovens. The Ultraviolet curing process is much more energy efficient than gas burning process, thus reducing significantly operating costs. 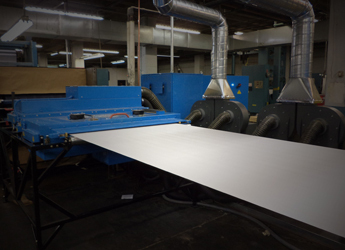 For additional information regarding the Ultraviolet Curing and curing process for the book printing industry, as well as innovative OXYTECH Ultraviolet curing systems, please contact us today.